Gareth is a Partner in our Birmingham office, a Fellow of the Association of Chartered Certified Accountants and a Licensed Insolvency Practitioner. He joined the firm in 2004 having worked previously for Kroll and therefore has many years’ experience in corporate advisory and restructuring in distressed businesses. 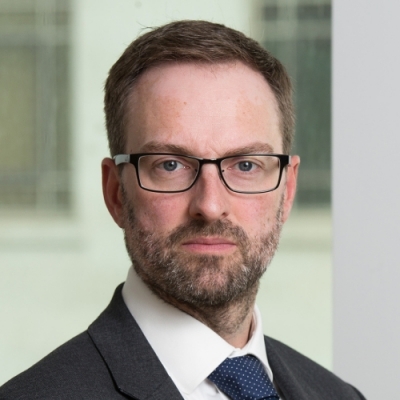 The majority of Gareth’s career has been spent working closely with the main clearing banks and other financial institutions undertaking advisory work and independent business reviews as well as formal insolvency assignments. Gareth has previously been seconded to work in the Business Support Unit of Lloyds Bank where he worked with customers ranging from small SMEs to listed PLC businesses with multi-bank syndicates. Particular sector experience includes: Construction, Manufacturing, Transport & Haulage, Property, Hotels & Leisure, Professional Practices.